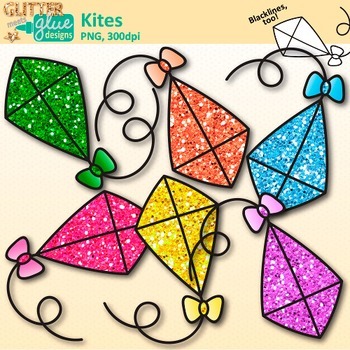 Kite Clip Art: Fly into the warmer weather months of Spring and Summer with this sparkly pack of clipart. Make a poster to catalog all the "high flyers" in your school's reading program using this kite clipart. Decorate your classroom door with a touch of glitter. Compose lessons to teach your kindergarten students about the letter k.
FEEDBACK ON FREEBIES ARE ALWAYS APPRECIATED, THANKS!